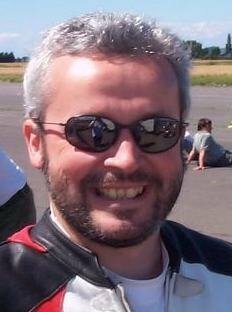 Lorcan Parnell, aged 38, from Falmouth UK. Signmaker and www.750turbo.com webmaster. 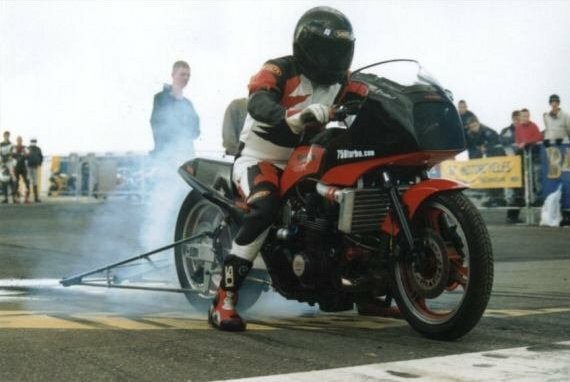 "I have two Kawasaki 750 Turbos - a dragbike and a stocker. 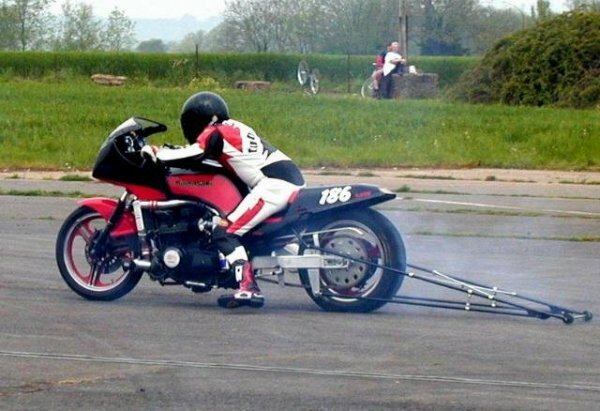 The dragbike is extensively modified and runs on alcohol. It has run 8.69 @ 162mph for the quarter mile at 760cc and 23 psi boost and is currently undergoing a rebuild to 904cc with a larger turbo and a purpose-built chassis. The streetbike is having ZX11 wheels, suspension and brakes, and a little mild tuning work. "